Crochet is an art of fabric creation with the use yarn or threat, or some other material, and a special crochet hook. The latter can be made from a variety of materials including wood, metal or plastic. 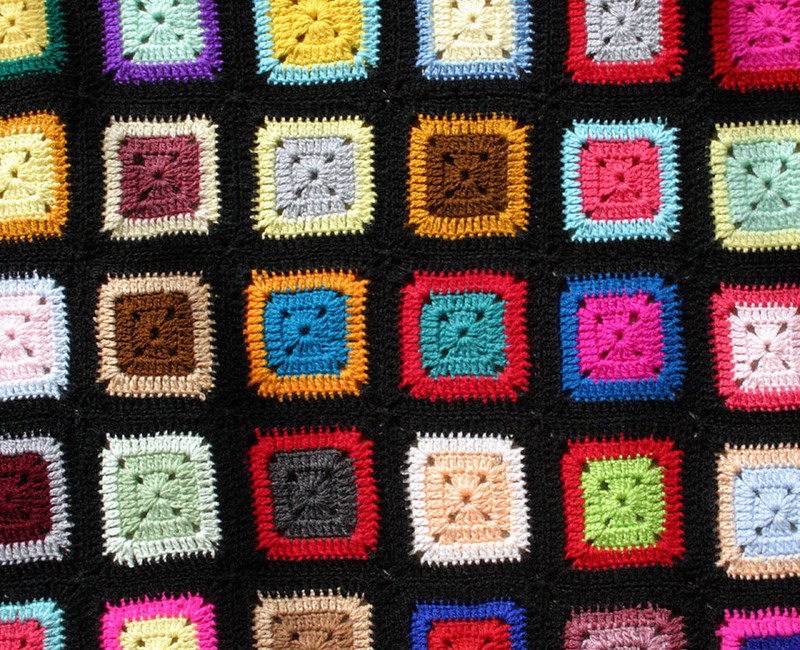 The word crochet comes from the same French word which translates into “hook”. Just like knitting, crochet creates fabric by pulling loops through one another. But unlike knitting, crochet also involves wrapping of yarn or thread around the hook one or multiple times. With the exception of some types of crochet, it also distinguishes itself from knitting in that a single stitch is active at a time. Also, the stitches are taller and unlike knitting which uses two needles, crochet creates fabric with a single hook. The origin of crochet remains a mystery. According to some sources, it may have developed from traditional fabric making in China, Iran or South America but there is no solid evidence for crocheting before it became popular in Europe in the 1800s. The oldest written reference to the art of crocheting dates from the 19th century (mentioned in ‘The Memoirs of a Highland Lady’, Elizabeth Grant). The first crochet patterns are claimed to appear in 1824 in a Dutch magazine but this has recently been disputed because what seems as crochet patterns were found in a Swedish magazine that was published five years earlier. As mentioned earlier, crochet became very popular in Europe in the 19th century. It was influenced greatly by the Victorian era trends which, however, gave way to Edwardian lace in the second decade of the 20th century. During the latter, crocheting became even more elaborate and the stitches more complicated although the bright colours gave way to white and pale. After the First World War, crochet experienced decline which also reveal the scarcity and simplicity of the patterns that were published in the period between the wars. It again became popular after the Second World War as a result of increased interest in home crafts. After the early 1970s, crochet once again began to decline in popularity until it resurged in the early 2000s. With the increased interest in DIY and handicrafts in the early 21st century, crochet is rapidly gaining in popularity in many parts of the world, especially Europe and North America. There is a huge offer of pattern books for both beginners and advanced crochet makers, while those interested in this art of fabric making can also join one of many crochet lessons that are adjusted to their participants’ skill level.